Great Midnight Sun Festival `Sun Juan´ in Menorca, in the best boutique hotels. San Juan, the ‘Night of St. John’, a traditional and magical family party, is celebrated in Spain with campfires and fireworks. In the coastal towns, the celebrates go swimming at midnight in the sea. 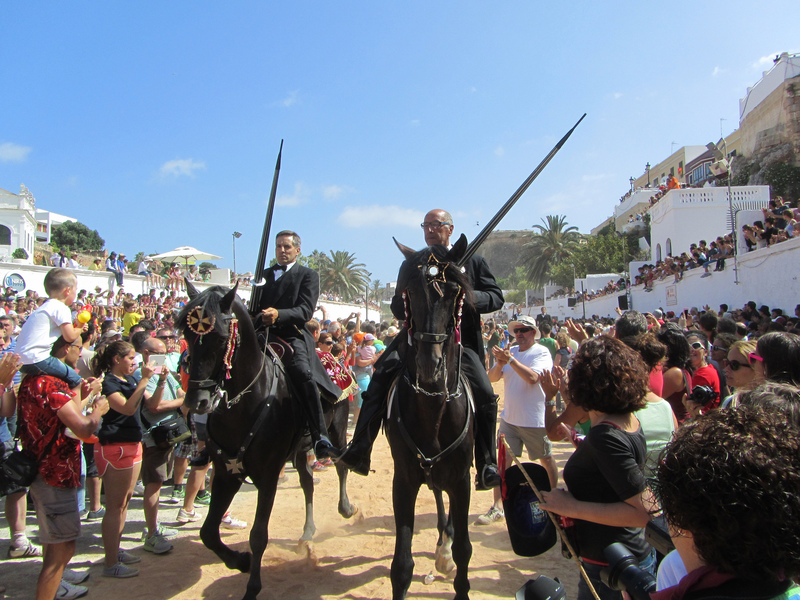 Ciutadella in Menorca is known for a very special Noche de San Juan festival. In 1399 a brotherhood of representatives of the four social classes was responsible for the care and supervision of the chapel of ‘Artrutx’. At San Juan, the entire guild went by horse and on foot to the chapel of Artrutx, 6 km from Ciutadella. On the way, all of the men were invited to a refreshing drink by Cavaller Obrer and Capellà. Today we are commemorating the origins, the four social classes and the brotherhood, with the ceremonial acts in Artrutx. The ‘Caixer’ (rider) representative of the nobility, the ‘Caixer Capellà’ representative of the clergy, the ‘Caixers Pagesos’ represent the peasants and the ‘Caixers Menestrals’ the craftsmen. `Día des Be’ is the last Sunday before San Juan, this year the 21st Sunday. At 9 am the special celebrations begin with the `first tap of Flabiol´ in the house of `Caixer Senyor´. 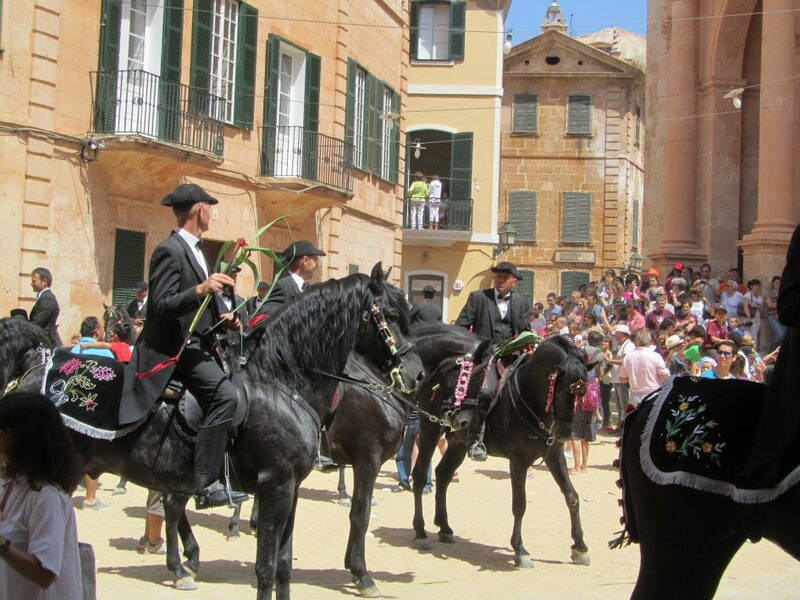 Throughout the day you can follow the procession on the streets and squares of Ciutadella. The whole city will turn into a big festival on 23-24 of June. The day ends with the ‘Tira de Avellanas’ on the alley of the Constitution. This year there is only one day to rest, because on the 23rd at 2 pm starts the original festival, which ends with the `toc darrer Fabiol’ on the 24th at nightfall. The festivities begin when the move arrives at the `Palau del Caixer´ and takes the flag of San Juan. If the ‘Caixer’ holds the flag in their hands, the other ceremonies follow. Should be followed. The ‘Caragol of the Born’ on the ‘Plaça de Born’, with its skillful horsemen who show their riding skills while music is played. Please come to this well-attended event in time. The “Cargol de Santa Clara“, where the horses can enter the houses of the city, and you can marvel at horse and rider. “Jocs des Pla’ is undoubtedly the most beautiful event in San Juan, where you can also admire the mastery of horse riding at the” juego de la Ensortilla”. At the gallop the riders try to insert a spear into a small ring and if they are successful, loud music sounds. There are many events throughout the day, you can taste for example the typical Menorcan drink ‘pomada’, to commemorate the invitation to a refreshment in the 14th century. The festivities end with the `darrer toc de Fabiol’. If you have already celebrated San Juan in Menorca in the past years, please let us know your experiences! 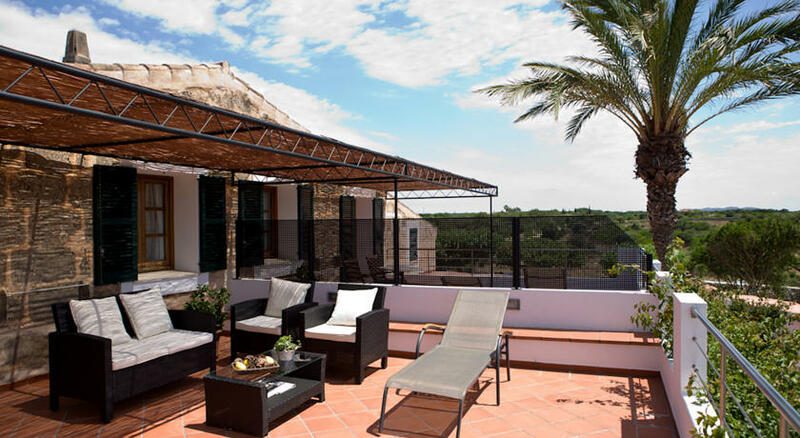 The charming luxury hotel Can Faustino in Ciutadella is housed in a romantic palace from the 16th century, only 150 meters from the cathedral and close to the harbor. The hotel’s facilities include a charming courtyard with a pool and hammocks, reading and seating areas for resting. At the pool bar on the terrace you can drink delicious cocktails under the stars. 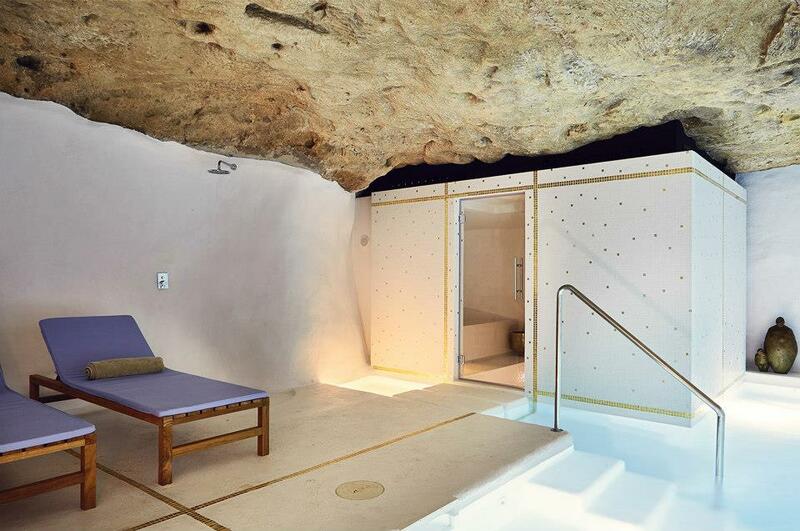 Inside, Can Faustino has a relaxing spa area with a heated pool, hammam, massage and treatment services. 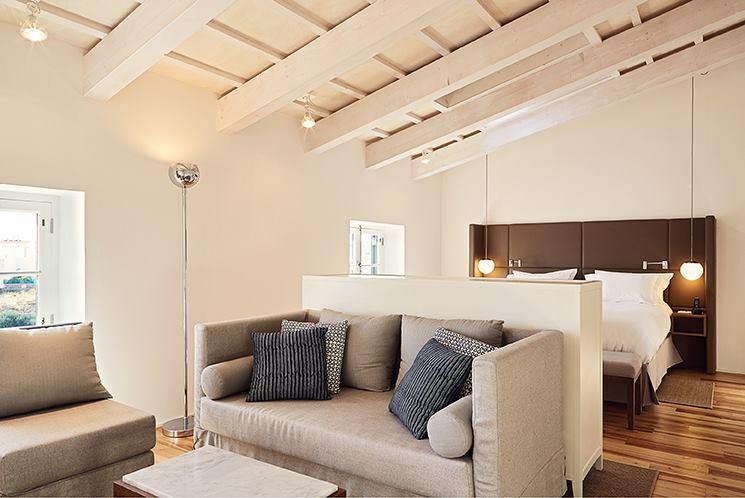 The spacious, romantic rooms are combined in warm earth tones and white, with white wooden beam ceilings. The first class restaurant is distinguished by its fresh and juicy seasonal cuisine. The hotel guests can request a beautiful sailing boat. Reserve hotel Can Faustino here. If you are looking for peace and relaxation, Morvedra Nou is the right place for you, right in the middle of beautiful nature, near the beaches Macarella, Turqueta and Son Saura and just 7 km from Ciutadella. This charming country hotel, set in a country house dating back to 1650, offers a beautiful garden with swimming pool and a shaded veranda, ideal for a cool drink in the afternoon or a relaxing reading. 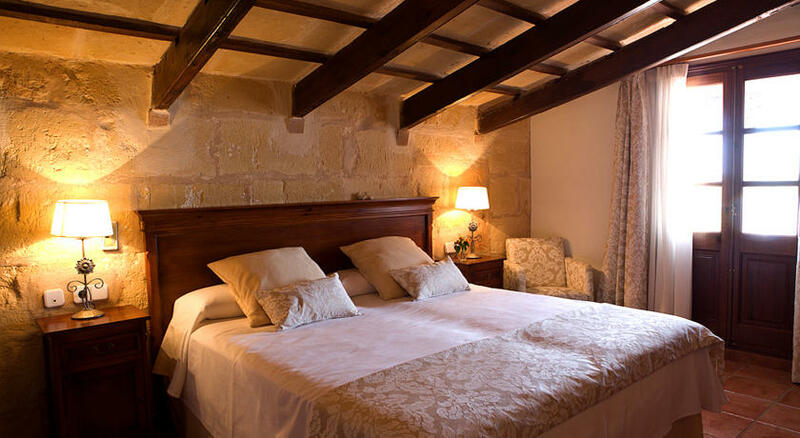 The furnishings preserve the rustic charm of the original building, the 18 rooms are spacious and cozy with thick stone walls and beamed ceilings and have a terrace. The restaurant, with its typical Menorcan cuisine, offers innovative and creative dishes for lunch and dinner à la carte. In the evening you can order homemade food. Reserve country hotel Morvedra Nou here. 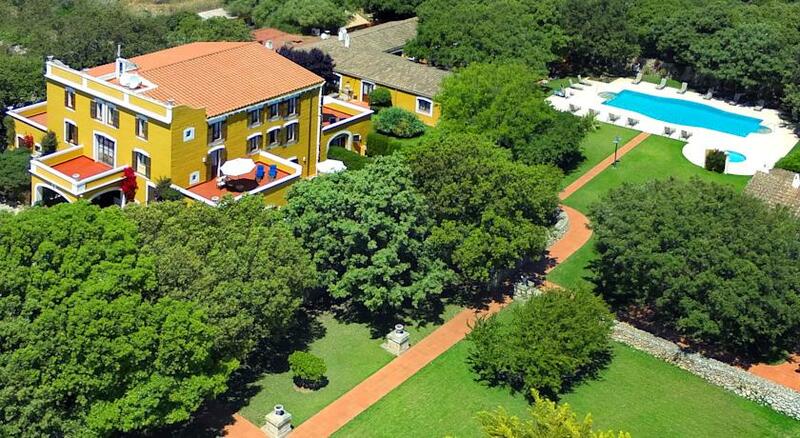 If you are looking for a hotel in the countryside but only 3 km from Ciutadella, then choose Sant Ignasi on an estate of 402,000 m2. 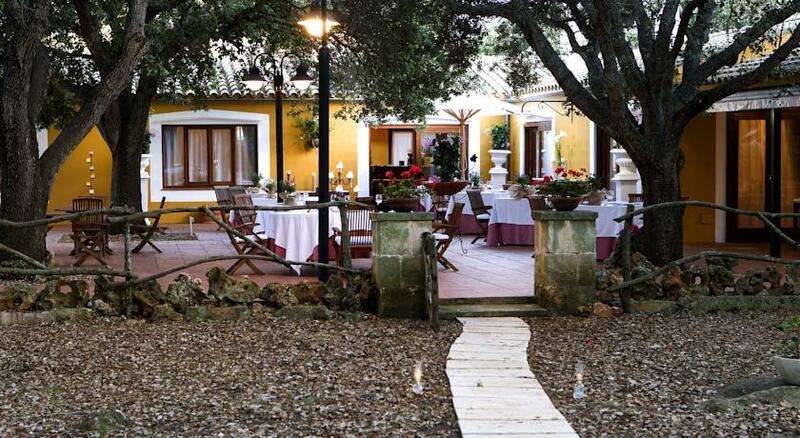 In a beautiful mansion from the 17th century, transformed into a charming country hotel. 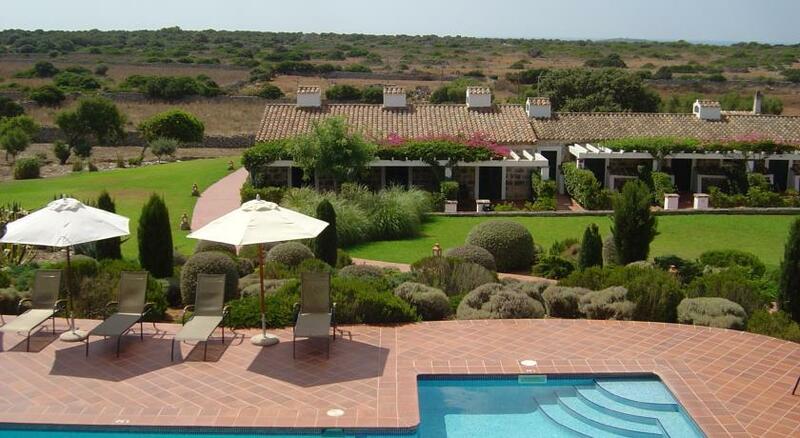 On the property there is a large garden with pool and a quiet centuries old oak forest. Inside, the hotel exudes rustic warmth, furnished with colonial furniture. 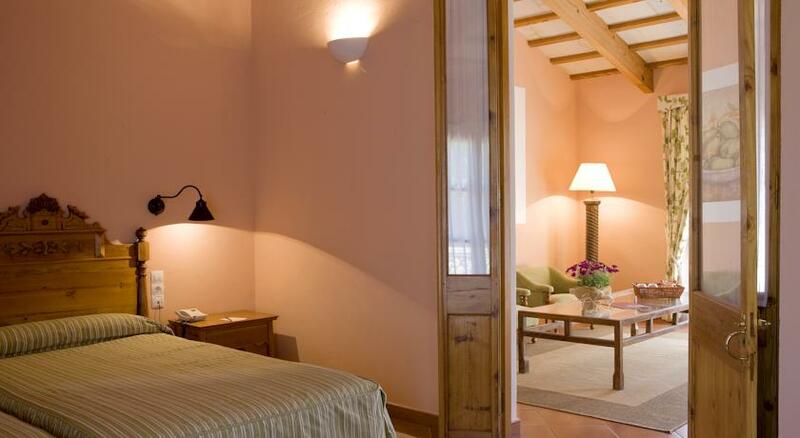 The rooms are spacious, there are suites with hydromassage bathtub, some rooms have a terrace and a private garden. The beautiful terrace by the pool invites you to dinner, enjoy the delicious Menorquin cuisine of the restaurant Sant Ignasi. And the sport lovers among you should not forget their racquets, there are tennis and paddle tennis courts on the property.